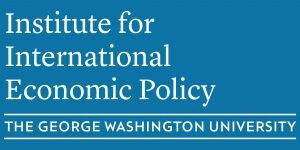 IIEP serves as the institutional home of the Elliott School’s International Trade and Investment Policy (ITIP)and International Development Studies (IDS) programs. ITIP and IDS attracts outstanding master’s candidates from around the world who are studying issues directly related to IIEP activities. IIEP faculty members are also actively involved in the Ph.D. programs in disciplinary departments (such as economics, political science, and history) as well as professional programs in other GW schools (including the Law School, Business School, School of Media and Public Affairs, and the School of Public Health).